After Newzbin closed following a debilitating legal battle with several Hollywood studios, rumors began to surface that during a time when the site was still up, it had been hacked and the source code and databases 'stolen'. Now a group called Team R Dogs/Newzbin2 has contacted ex-Newzbin members with news that the site will soon be reborn. After a ruinous battle with Hollywood, Usenet indexing site Newzbin finally folded earlier this month. Run by an ex-Newzbin editor, the DeepSharer blog quickly reported a rumor that someone had previously hacked the Newzbin servers and grabbed the source code and several databases. Sure enough, in the last couple of days someone called Mr White from Team R Dogs/Newzbin2 has contacted ex-members of Newzbin with an interesting message. 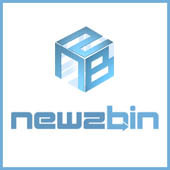 “Good news: we are Newzbin Two, and we have glad tidings: NEWZBIN IS BACK! and we are the new management. The crew got most of the original Newzbin source code and the main databases. We loved it too much to let it die,” says Mr White. “We are nearly there but it is very complicated. We reckon we’ll up very soon,” he adds. There can be little doubt, this group have the customer database at the very least since they contacted ex-members of Newzbin using the addresses subscribers used to sign up on the site. Time will tell what other data they have acquired but if the full NZB database is one of them, things could get very interesting indeed.